Xenoblade Chronicles 2: Torna ~ The Golden Country (Nintendo, Fri 21st September, $29.99) Guide a group of legendary warriors on a journey through the tragic history that doomed a kingdom and drove a hero down a dark path 500 years before the events of the Xenoblade Chronicles 2 game. Read our Xenoblade Chronicles 2: Torna - The Golden Country review. 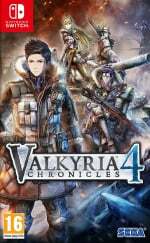 Valkyria Chronicles 4 (SEGA, Tue 25th September, $59.99) A Continent Engulfed in the Bitter Flames of War! Valkyria Chronicles 4 takes place in the same timeframe as the original Valkyria Chronicles, but focuses on Squad E of the Federation. Read our Valkyria Chronicles 4 review. 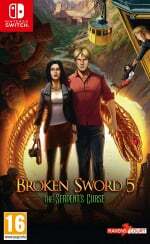 Broken Sword 5: The Serpent's Curse (Revolution Software, Fri 21st September, $29.99) Paris in the spring. Shots ring out from a gallery. A robbery.... a murder... and the beginning of another epic Broken Sword adventure. From multi-award winning Revolution comes the latest mystery in this much loved adventure-puzzle series. Read our Broken Sword 5: The Serpent's Curse review. 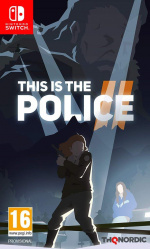 This Is The Police 2 (THQ Nordic, Tue 25th September, $29.99) Interpret the law as you see fit! Run the sheriff's department, manage your cops, make tough decisions – and try to keep out of prison yourself – in this story-driven mixture of adventure, strategy, and turn-based tactical combat. 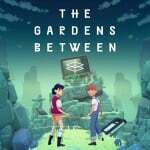 The Gardens Between (The Voxel Agents, Today, $19.99) Best friends Arina and Frendt fall into a series of vibrant, dreamlike island gardens peppered with everyday objects from their childhood. Together they embark on an emotional journey that examines the significance of their friendship: the memories they’ve built, what must be let go, and what should never be left behind. Read our The Gardens Between review. 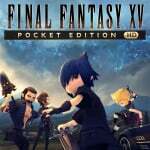 Final Fantasy XV Pocket Edition HD (Square Enix, Thu 13th September, $29.99) Explore the world of FINAL FANTASY XV with a cast of cute and cool characters! Now you can enjoy the FINAL FANTASY XV story across 10 exciting chapters. Read our Final Fantasy XV Pocket Edition HD review. 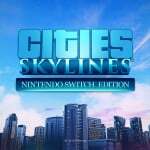 Cities: Skylines - Nintendo Switch Edition (Paradox Interactive, Thu 13th September, $39.99) Cities: Skylines is a modern take on a classic city builder. With original gameplay to realize the thrill and hardships of creating and maintaining a real city. Boasting fully realized transport and economy systems, Cities: Skylines is designed to suit any play style - and now, anytime, anywhere. Read our Cities: Skylines - Nintendo Switch Edition review. A Case of Distrust (Serenity Forge, Today, $14.99) A Case of Distrust is a narrative mystery from 1924 San Francisco. Play as private investigator Phyllis Cadence Malone in this historical 2D adventure game. Explore underground speakeasies, smoke-filled billiard halls, classic barber shops, and more. Catch suspects in lies by using evidence, statements, and your wits. A Gummy's Life (EP Games, Tue 25th September, $14.99) Play as a gummy with up to 8 Friends online or on the couch! ACA NEOGEO AGGRESSORS OF DARK KOMBAT (HAMSTER, Thu 13th September, $7.99) AGGRESSORS OF DARK KOMBAT is a fighting game released by SNK in 1994. Pick one of eight intense fighters and go into battle to accomplish their goals. Arcade Archives Rygar (HAMSTER, Thu 13th September, $7.99) "RYGAR" is a video game created by Tecmo in 1986 and originally released for arcades in Japan as 'Warrior of Argus'. It is a scrolling platform game where the player assumes the role as the "Legendary Warrior". Broken Age (Double Fine, Thu 13th September, $14.99) Broken Age is a timeless coming-of-age story of barfing trees and talking spoons. Vella Tartine and Shay Volta are two teenagers in strangely similar situations, but radically different worlds. 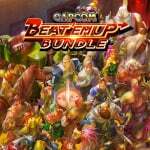 Capcom Beat 'Em Up Bundle (Capcom, Tue 18th September, $19.99) This comprehensive collection includes seven classic games, each with various multiplayer options, online capabilities and detailed galleries! Say goodbye to game overs! Adjust your difficulty settings or give yourself more lives to battle through each game in its entirety. Read our Capcom Beat 'Em Up Bundle review. 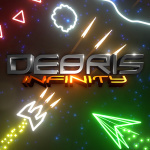 Debris Infinity (SVC Games, Fri 21st September, $4.99) Debris Infinity is an action-packed game that puts your reflexes to the limit, allowing you to manipulate time itself to make impossible manoeuvres, using an advanced scoring system to rank your performance! Gaokao.Love.100Days (Navila Software Japan, Mon 24th September, $11.99) Is there still room for love in this 100 days, or am I just ruining my life, or worse, her life? This is a dating simulation game based on Chinese students' real life. 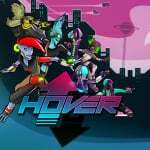 Hover (Plug In Digital, Today, $24.99) Hover is a fast-paced single and multiplayer Parkour game in a futuristic 3D Open World. Experience the thrills of a fast-paced single and multiplayer Parkour game. Join the Rebellion and deride the security forces of an anti-leisure tyranny. Legendary Fishing (Ubisoft, Tue 18th September, $29.99) Experience the thrill of catching over 20 different types of fish, from king salmon to largemouth bass, in this legendary fishing experience. Light Fingers (Numizmatic Games, Today, $19.99) What do skulking thieves do after a night of procuring shady spoils? They gather at a favourite tavern and wager it away on a friendly game of Light Fingers! Played on a magical clockworks game board, this turn-based multiplayer game has real-time action and devious opportunities for misdirection, all in the pursuit of securing more loot than your opponents. MagiCat (Toge Productions, Today, $4.99) MagiCat takes players on a quest to retrieve a stolen artifact and explore the astounding magical worlds of the MagiCat universe. Using the powers of dashing, high jump, and fireball, along with items that can be unlocked as the story progresses, players must help MagiCat regain the world’s lost relic. Mitsurugi Kamui Hikae (Zenith Blue, Today, $11.90) High school girls + Japanese swords! Enter the arena, take on a swarm of enemies and leave none standing in this action-fuelled indie game. Collect skill points to upgrade your techniques and confront even greater foes. Feel a surge of pleasure as you make use of both swift attacks and destructive techniques to scatter your enemies! 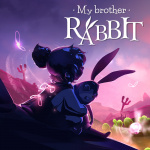 My Brother Rabbit (Artifex Mundi, Fri 21st September, $14.99) My Brother Rabbit is a beautifully drawn adventure set in a surreal world that mixes reality with a child’s imagination. A young girl faces a terrible reality when she falls ill. The little girl and her brother use the power of imagination to escape the hostile outside world. Oh My Godheads: Party Edition (Square Enix Europe LTD, Tue 25th September, $14.99) Grab eleven Godheads with their own game-changing abilities, such as explosions, mind-control and freeze. Visit ten locations with their own obstacles to overcome, like the waterfalls in Japan, Italian volcanoes, and more. Reigns: Kings & Queens (Devolver Digital, Today, $7.99) Reigns: Kings & Queens includes both award-winning games Reigns and Reign: Her Majesty. Sit on the throne as a benevolent (or malevolent) monarch of the modern age and swipe your royal decrees to the left or right to impose your will upon the kingdom. 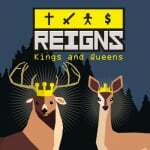 Read our Reigns: Kings & Queens review. Retimed (Stray Fawn, Today, $14.99) Challenge friends and family to awesome and fast-paced arena battles. Choose between chaotic team matches and intense free-for-all fights. Dash and dodge bullet clusters in nerve-wrecking slow-motion moments. Use different surroundings to outplay your opponents and enjoy the colorful world of Retimed! Meet our “heroes”! Snake vs Snake (Casual Games, Wed 26th September, $3.99) Snake vs Snake is a fast-paced snake game with an insane battle mode with power-ups and much more. Inspired by old classical Snake but with a much faster arcade pace and multiplayer support. 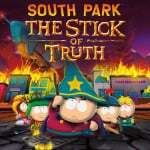 South Park: The Stick of Truth (Ubisoft, Tue 25th September, $29.99) From the creators of South Park, Trey Parker and Matt Stone, comes an epic quest to become…cool. Speed Brawl (Kongregate, Tue 18th September, $19.99) Speed Brawl is a 2D combat-racer about moving fast and hitting hard! Maintain your momentum, build your combos, and unleash powerful special moves. Find your own fighting style, and assemble the finest team of brawlers ever seen. Spider Solitaire F (Flyhigh Works, Thu 13th September, $5.00) Spider Solitaire F is the first of our “F” (Flyhigh) series. We aim to bring the fun and challenge of classic games to the Nintendo Switch. In Spider Solitaire F we have prepared challenges that range from easy to very challenging; there are a total of 100 sets to solve. For those learning how to play there is a Hint function, and you can also go ‘one back’ in moves. Spider Solitaire F is perfect for calm and relaxing moments with the Nintendo Switch, whether playing on the portable or the TV. We hope it will be an enjoyable challenge! THE Card: Poker, Texas hold 'em, Blackjack and Page One (D3Publisher, Today, $4.99) This game includes Poker, Texas hold 'em, Blackjack, and Page One. -Built-in ranking system! Compete with users across the country over the coins earned in a game. -The more coins you have, the bigger bets you can make, so the game gets more and more exciting! -The achievement system lets you can gather backgrounds and card designs as you get into the game. -You can make your ideal game environment by customizing the number of rounds, backgrounds, and card designs! Think of the Children (Fellow Traveller, Tue 25th September, $12.99) READY! SET! PARENT! Little Bobby’s dead, the BBQ is on fire, Jen’s eating poisonous berries and the birthday cake still needs icing. It’s just another wonderful day out with the kids in Think of the Children, a frantic parenting simulator for up to four players. Ultimate Chicken Horse (Clever Endeavour Games, Tue 25th September, $14.99) Ever wish you were a wall-jumping, arrow-dodging, trap-setting horse, besting your animal pals in a race through a peril-laden obstacle course that you all built together? Wish Granted! Ultimate Chicken Horse is a party platformer where you and your friends build the level as you play, placing deadly traps before trying to reach the end of the level. If you can make it but your friends can't, you score points! Play online or locally with your animal buddies and experiment with a wide variety of platforms to find new ways to mess with your friends. 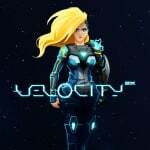 Velocity 2X (Curve Digital, Today, $14.99) Velocity 2X blends two unique styles of fast-paced, frenetic gameplay into one incredibly fun and challenging SF experience. Nintendo Switch Online: More Games. More Features. More Fun. 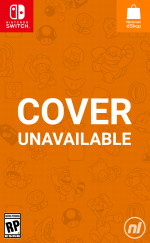 – Introducing a new online service from Nintendo! With a Nintendo Switch Online membership, you’ll get access to online play in compatible games, a growing catalog of classic NES titles with newly added online play and cloud backup for your save data in compatible games. Plus, you can receive special offers and enhance your online experience with features available through the smartphone app. Level up with a Nintendo Switch Online membership! It’s Party Time! Earn Double Gold Points with Digital Pre-Purchase of Super Mario Party – Receive a bonus of 300 My Nintendo Gold Points when you pre-purchase the digital version of the Super Mario Party game from Nintendo eShop or Nintendo.com (where available). The offer ends at 11:59 p.m. ET on Oct. 4. Bonus points will be issued on the game’s launch day, are earned based on the original list price of the game on Nintendo eShop and will vary by country and currency. Was hoping for the Sega Ages titles like Europe got as I have funds in my US account. The Hamster releases listed are always a week behind so there's still a chance the Ages titles will release today and then included in next weeks update. Not sure why Nintendo of America continue to send out old updates. I just bought Velocity 2X, and have a retail copy of Valkyria Chronicles 4 coming when it releases on the 25th. Rygar was last week. Ah-thbbbbbbbptt!! Nothing for me. I'm hoping Downwell releases fairly soon since it's kind of hard to play on a phone. It's also the sort of game I like on a handheld, so that rules out PC and PS4 for me. Good stuff this week but I have spent too much money on game recently. I will eventually pick some of this stuff up, by nothing this week! I hope they wait for 2 months before giving us special discounts for those who bought online. Torna stand alone is $40. Strong week, I'm picking up Hands of Fate 2 and Dragon FangZ since they're on sale. The Gardens Between and Valkyria Chronicles 4 go on the wishlist. Does anyone know if the "Get In-Game Extras When You Buy Xenoblade Chronicles 2 by Sept. 30" also extends to the season-pass? I was thinking of finally picking that one up (it'll probably never go on sale anyways), so I might as well do it now then. Beat em up bundle for me!! Valkyria Chronicles 4 is already preloaded. I probably won't be able to resist getting Torna, either. And if I have the money, Velocity 2X. Moving Valky4 to PC. After the demo I realized I want to have that game for a very long time (just like #1)... I'll get the LE ArtBook on Ebay someday. @Ralek85 No clue about the extras, but those are two great game choices. Love em both. Got the VC4 CE, and Torna physical version coming soon. Won't be getting any small eshop games, because next month is a big month for physical releases, for me. But I'm probably going to get Ultimate Chicken Horse, Stick of Truth, and Beat'Em Up bundle, eventually. Good stuff there. Any special discounts for Switch Online members? Playing Tornado without having played XC2 THEN playing XC2... anyone have thoughts about that? Already had the DLC for XC2 so got Torna automatically. Bought FF XV because it seemed reasonable to me and I'll play it when I get a little more time. Nothing else of huge interest in downloads right now. Grabbed the Beat ‘Em Up bundle on Tuesday. Been having fun playing multiplayer with my kids. Between that & the NES classics I’ve been giving them a history lesson in retro gaming. With all these recent and upcoming releases, the Switch is quickly becoming my portable Retro Box of choice. So apparently Risk Of Rain shadow dropped today too. Dammit, decisions lol! @Crono1973 Yes. Eventually you'll be able to pre-order the NES controllers for $60. I think we'll see more of Nintendo introducing the eShop discounts after everyone has blown through their 7-day free trial. Got the Memoirs of Battle edition of Valkyria Chronicles 4 pre-ordered, looking forward to that arriving. I still have to buy the Expansion Pass for Xenoblade Chronicles 2 but I'm so behind on that game's main story quest that I don't know when I'll get around to picking it up. I also got Final Fantasy XV Pocket Edition before the price goes up later today. @SmaMan I honestly feel like that is their whole aim with the system. They know they can't compete with other platforms on a graphical level, but The Switch can become the preferred device by millions of gamers for older titles they missed over the years. It's a perfect fit for them and their old school sensibilities imo. Too many games. How can one keep up? I’m overwhelmed. Great week for me: playing through the 20 NES titles, got through 18 of em yesterday, mario 3 today, and now I'm working on Zelda. After that I'll be playing the Capcom Beatemup Bundle, followed by the Detention demo, and Valkyrie Chronicles 4. I'm also excited about the Sega Classics collection, SNK collection, and Atari collections coming out this winter. My Switch will have so many games! Valkyrie Chronicles 4 (everyone remotely interested in strategy should get that) Labyrinth of Refrain, and Dragonball Fighterz are my absolute main titles. VC4 was my most anticipated of the year before Civilizations 6 was announced! @PhilKenSebben I just wish Dragon FangZ had a better translation, I haven't played that much yet obviously, but I've already come across 2-3 items with descriptions I could not make much sense of. It's not that big a deal, one can probably figure it eventually, but it's a bit of nuisance initially. A Case of Distrust — This one intrigued me as I tend to like these kinds of games anyway. Backlogged. Broken Sword 5: The Serpent's Curse — Point & Click, nuff said. Review doesn't deter my decision either way. I'll rent this as I believe it will have a physical copy. If not, I'll wait for a sale and backlog it. Capcom Beat 'Em Up Bundle — Even if it doesn't have ALL Capcom brawlers, I'd still buy this just so me and my brawler lovin' teammate can run the whole thing. Valkyria Chronicles 4 — Glad this is physical. When I clear some more rental backlog, this will be rented. 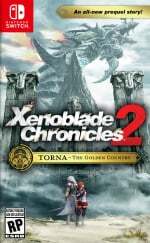 Xenoblade Chronicles 2: Torna - The Golden Country — No brainer as I played the vanilla XC2. The fact that it is a standalone physical game and you don't need to have XC2 to play it baffles me to no end why I still don't see it among GameFly's games. If GameFly never stocks it, then I'll go ahead and get the DLC to play it, but that's gonna push it way down my backlog if that happens. Although they’re not listed Sonic and Thunderforce 4 for me!! Already downloaded the Beat em up Bundle and paid for a year of Online. I've yet to play XC2 but am thinking about getting the physical version of Torna. 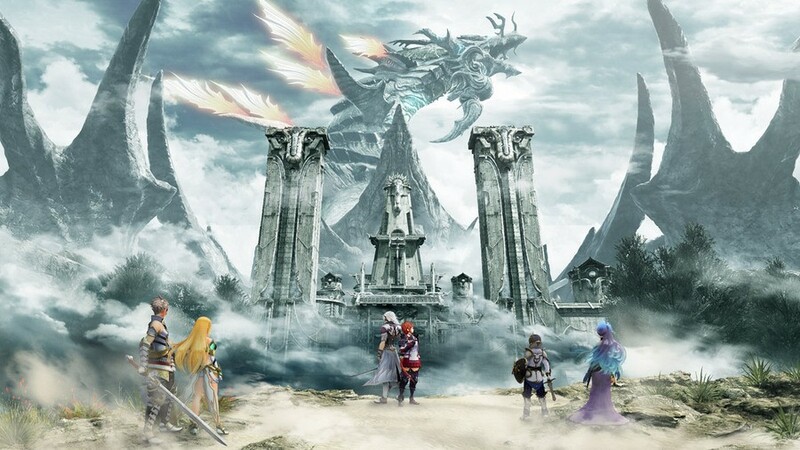 I loved XC1 and if Torna's in between the 2 games, I'll probably do Torna first and then play 2. Already got FFXV a day after it launched. I've also had Valkyria Chronicles 4 pre-purchased & downloaded for over a month now. And I already have Torna since I purchased the expansion pass for XC2 when it released. I've had XC2 downloaded since launch day and still have not played it, yet. Debris Infinity looks interesting, too. I've added it to the wish list. Great lineup of new titles here. I'll be getting(at some point) Torna, Velocity, South Park, Beat em up bundle and VC4. I really wish I could like Xenoblade 2. I got the game itself, there's a lot I love about it between its cast, its sense of humor, and its scale... but I just cannot stand its combat system. Can't wait until I leave Europe and head back to the states so i can get Nintendo switch online. First thing I'm doing is playing some LoZ! Just an insane number of great games crashing onto the eShop every single week. My goodness. But Valkyria Chronicles 4, Xenoblade Torna and Final Fantasy XV are top priority. I'm SO glad Valkyria Chronicles 1 and 4 are coming to Switch. Gonna get a refund for Valkyria Chronicles on Steam, since I no longer need it on PC for Win 2. Downloaded rygar, beatem up, and the nes classics. Having a ball with all of them. @SmilesSmiles Sega Ages are on the eShop in the US and Vs. Excitebike is coming tomorrow. For some odd reason, the press releases are a week behind schedule on Arcade Archives (don't worry, they are still arriving the same week in US as everywhere else on Switch) and it looks like the trend is continuing with Sega Ages. Have no idea why the pages aren't being updated properly to acknowledge the correct US Arcade Archives dates before the week after they come out. Cities, Xenoblade and Valkyria for me! But for the love of all things good and God himself, DO NOT READ NintendoLife's terrible review of Cities Skylines! It's the single worst piece they have posted since I joined this lovely site. It's like a stain on an otherwise very nice shirt. @kevin74 Debris Infinity is crazy fun, if you like twin stick shooters get in there, there isn’t a lot to it but the gameplay is fantastic. Got Etrian Odyssey IV: Legends of the Titan for $9.99! I heard it’s a good entry point.